The OnePlus 5T is set to launch on November 16, which is less than a week from now. Ahead of that official launch, images and all the official specs have now leaked. The leak has seemingly come from a reviewer who got an early unit to check out to have a review ready for launch day. The smartphone will measure in at 156.1 x 75 x 7.3mm and weigh 5.7 ounces. It will run OxygenOS that is based on Android 7.1.1 Nougat. The SoC running the show is a Snapdragon 835 running at up to 2.45GHz. 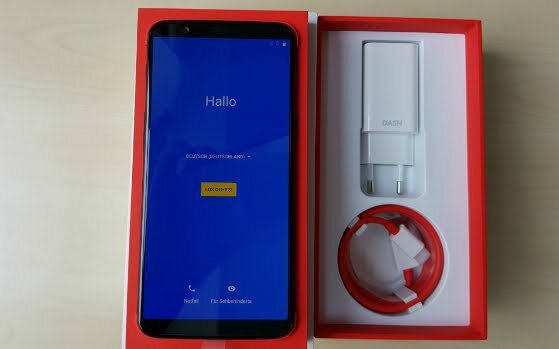 The GPU is an Adreno 540 and the phone will come with either 6GB of RAM and 64GB of storage or 8GB of RAM and 128GB of storage. The smartphone will have a 3,300 mAh battery that takes advantage of Dash Charge tech for faster charging. The smartphone if course have a USB type-C port that supports USB audio along with a 3.5mm headphone jack. Other features include support for multiple cellular networks, 802.11ac Wi-Fi, Bluetooth, NFC, GPS, GLONASS, BeiDou, and Galileo. The audio system has a bottom facing speaker, three microphones with noise cancellation, Dirac HD sound, and support for AANC. 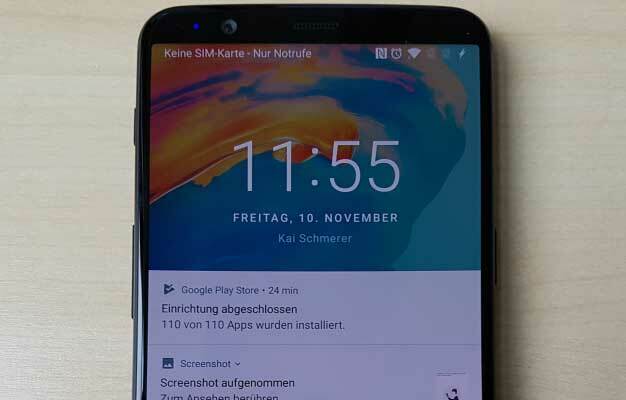 The screen is a 6-inch AMOLED unit with 1080 x 2160 resolution and 401 ppi with an 18:9 aspect ratio. That screen is covered with 2.5D Gorilla Glass 5. The main rear camera features a Sony IMX 398 16MP sensor while the secondary rear camera is using an IMX 376K 20MP sensor. There is a dual LED flash on the back and the camera can record video at up to 4K resolution. The front camera use a Sony IMX 371 sensor with 16MP resolution. 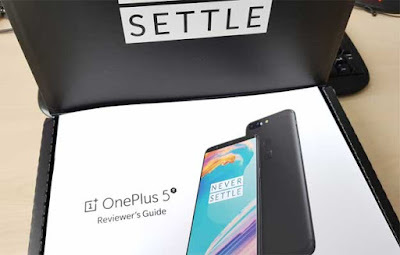 About the only mystery left with regards to the OnePlus 5T at this point is its official pricing and availability. We'll just have to wait until next week for those details.